Banking is now made easy for all to use. You can now buy airtime directly from your FCMB Bank Account without stress, but only with just a dial on your mobile phone. FCMB users what am really saying is that, you don't need to goto the bank ATM in order to recharge but, you can now carry out that service by your self right from the comfort of your home. isn't that awesome? Gone are the days when one always struggle and stress himself, by going to the bank queueing and waiting for turn to reach, so that he can carry out any transaction that took him to the bank that day. It is no longer like that presently. FCMB saw the need for that, so the decided to come up with this code for their customers to use whenever they want to buy credit. Lets get to how it works. 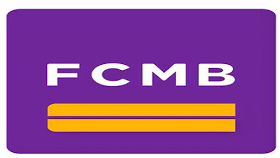 RECOMMENDED: How To Check Your Account Balance On FCMB Using Your Phone. Note: Before you can be able to buy the airtime, you have to note that, it is only when you have an account with FCMB Bank, that is only when its possible for you to make such transaction. And as a matter of fact, the number which you wish to purchase the airtime from FCMB, must be associated with the FCMB Bank Account. If not, once you dial the code, it will not work but will return a failure result. Having known all that, let's proceed on how to get the airtime. For Example: If you want to recharge N200 airtime only, just dial the code using this format *322*214*200# that's all for that. Now you should get a notification about that immediately. The service is very fast, so it will reply you quickly whether you are using MTN, Glo, Etisalat, Airtel, or Ntel network. As long as the line is associated with your FCMB Bank Account. Did it work for you? let us know and if you still did not understand, use the comment box for your questions, and we will get back to you as soon as possible.